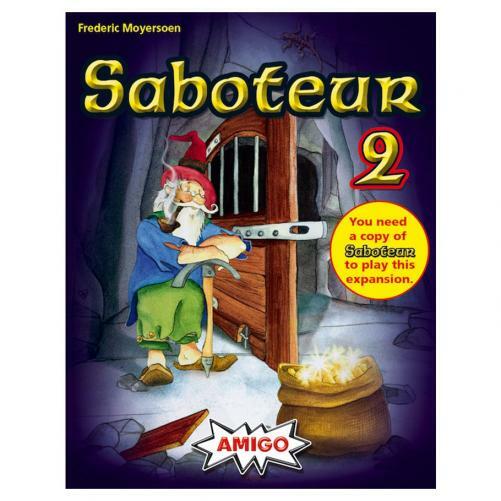 Fill in your details below and we will let you know within 24 hours if we can get Saboteur 2 to you with haste! The dwarves are still mining and the saboteurs are still lurking around. But, now the dwarves are divided into two squabbling and competing groups. They are joined by enough new dwarves for up to 12 players. The 'Boss' tries to help both groups, while the 'Profiteer' deals with everyone, and the Geologists hunt crystals rather than gold.